As the cities are experiencing rapid growth, transit systems like metro rail, BRTS, etc. are being implemented to cater to the growing travel demand. 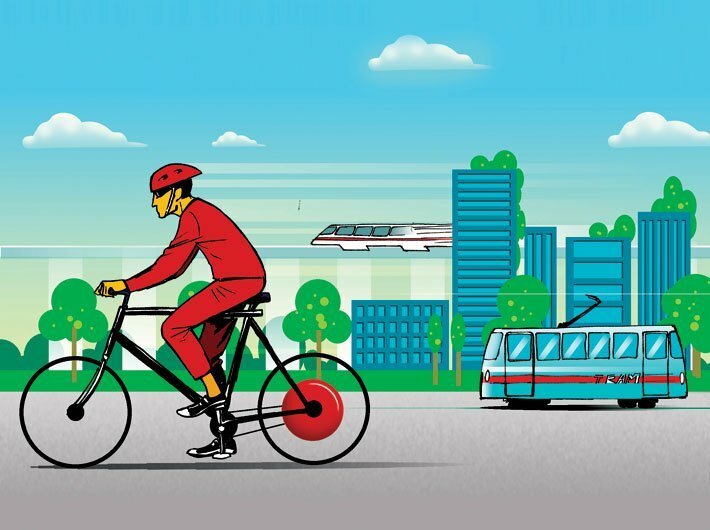 It has thus become inevitable to have Transit Oriented Development (TOD) policy for all such cities which have an existing mass transit systems or are planning to do so, said a policy document that was uploaded on the ministry of urban development website on Thursday. The policy document said that India is urbanizing at a rapid pace with urban population rising much faster than its total population. Level of urbanisation has increased from 17.29% in 1951 to 31.6 % in 2011. India is competing with the fastest growing countries in the world. The urban population in India, which is nearly 377 million, is poised to grow to 600 million by 2030. The urban population of India contributes 65% of country’s Gross Domestic Product (GDP), which is expected to grow to 75% in the next 15 years. With India witnessing a high economic growth, Indian cities are growing at a rate faster than other cities in the world. Urbanization has led to horizontal growth of the cities thus creating problems of urban sprawl. This has resulted in increase of trip lengths and higher usage of private vehicles, problems of pollution and increased demand of infrastructure. To address these issues, many cities have strengthened their public transport by developing mass rapid transit systems (MRTS) such as metro rails and Bus Rapid Transit Systems (BRTS). It is however, important to efficiently use these systems by integrating the land use with the transport infrastructure to make the cities liveable, healthy and smart. TOD integrates land use and transport planning and aims to develop planned sustainable urban growth centres, having walkable and liveable communes with high density mixed land-use. Citizens have access to open green and public spaces and at the same time transit facilities are efficiently utilized. It also focuses on creation of high density mixed land use development in the influence zone of transit stations, i.e. within the walking distance of (500-800 m) transit station or along the corridor in case the station spacing is about 1km. TOD advocates pedestrian trips to access various facilities such as shopping, entertainment and work. The document said that TOD increases the accessibility of the transit stations by creating pedestrian and Non-Motorised Transport (NMT) friendly infrastructure that benefits large number of people, thereby increasing the ridership of the transit facility and improving the economic and financial viability of the system. Since the transit corridor has mixed land-use, where the transit stations are either origin (housing) or destination (work), the corridor experiencing peak hour traffic in both directions would optimize the use of the transit system. As the cities are experiencing rapid growth, transit systems like metro rail, BRTS, etc. are being implemented to cater to the growing travel demand. It has thus become inevitable to have TOD for all such cities which have an existing mass transit systems or are planning to do so. It is the responsibility of the state government to manage the urban spaces, however a National TOD policy would serve as guidelines and play a catalytic role in formulating state/ city level policies for promotion of transit oriented development. It is important for community-based organizations, practitioner, urban local bodies, state/ union territory (UT) governments, Central Government ministries/ departments/ agencies and all other stakeholders involved in the development of the city, to understand TOD, its benefits and implementation strategy. National TOD policy shall be a guiding document for the Central Government ministries/ departments/ agencies to ensure that their schemes, policies, etc. encourage TOD in cities, especially those with upcoming mass transit systems.